sThe eco friendly gite is independant and attached at the main house. -two bedrooms of 15 and 18m² for 2/3 persons ( one is accessible for a mobile chair), a flat screen and a dvd player. - A kitchen of 15m² with fridge, micro waves, dishes and full kitchen equipement. - A separed toilet of 4m² (acessible with mobil chair). - A bathroom of 8m² with italian shower (accessible with mobil chair) with washing machine. - A swimming pool of 4*6 meter aboveground and maintained by activ oxygen. Sun desks, beatch umbrella, gas barbecue and pétanque court, a shady kiosque with wood floor , chairs and table. All rooms are connected of internet by wire and wireless. 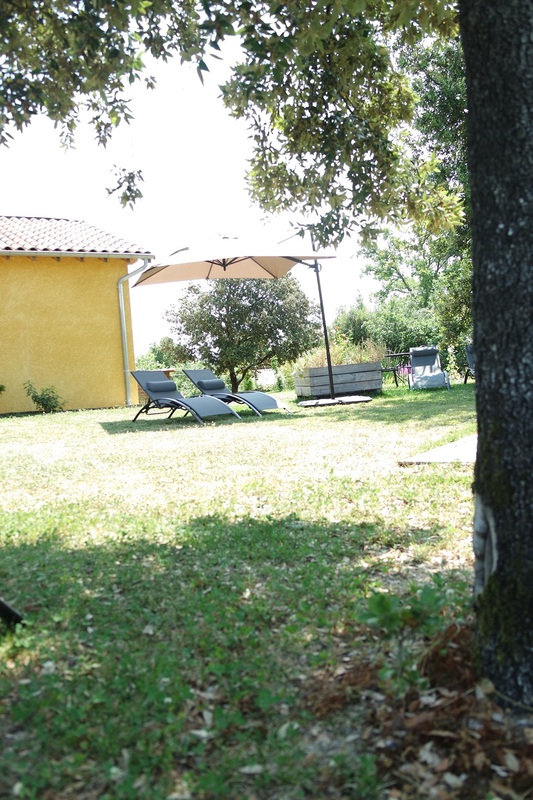 The gite is built with naturals materials for your best comfort of quality life. Hot water is heated by solar energy. The wastwater are purified by aquatics plants throught a phytofiltration system. The sheets and dowels are included. Possibility to enjoy the dinner at the table guest only on reservation. More pictures on french page "gite de payzac"